Want some serious grunt for your 4x4? From exhaust systems, optimizer re-maps, intercoolers and throttle tuners, we’ve got you covered with improving your 4WD performance, so that it won’t let you down when you’re out on an adventure. We can help you get the best performance from your 4WD from enhancing your throttle response, upgrading your exhaust, giving you more power and protecting your engine. Check out some of the 4WD performance products we can fit to your vehicle. The Legendex Big Boy Intercooler provides more efficiently cooled charge air temperatures, giving you greater power gains. So if you want better performance for towing, off-road and hillclimbs, the intercooler will give you a more efficient engine. and Torque Limiters …to name a few. Most vehicles will experience a substantial increase in power and torque – resulting in a more responsive driving experience. More power and torque means you’ll be off the throttle sooner, so you’ll experience fuel savings as well. Results may vary from vehicle to vehicle and are also affected by supporting mods such as exhaust and intercooler as well as general condition of the engine and tyre size. Want to protect your engine, reduce wear and tear and avoid repair costs on your diesel vehicle? 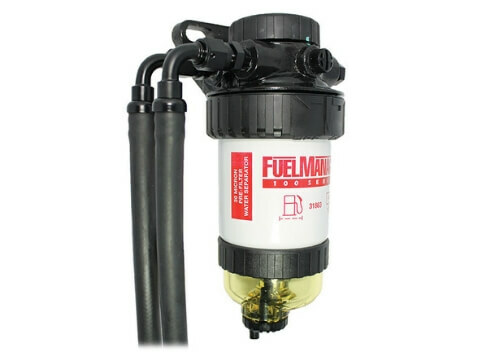 An auxillary fuel filter provides 95% water separation and superior particle removal for your vehicle. Designed specifically to cope with the Australian weather conditions and our poor fuel quality. 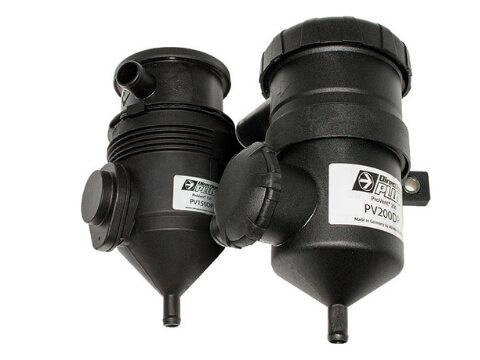 A ‘catch can’ or oil separator kit protects your modern diesel engine by substantially reducing the amount of oil entering the engine from blow-by gas in the crankcase ventilation system. If left without installing a catch can, the combination of oil and exhaust particles from the exhaust gas recirculation (EGR) systems build up to a point where it blocks inlet manifolds and valves. Resulting in reduced engine performance and/or failure. Too much lag on your throttle? Want to improve your acceleration? The iDRIVE allows you to tune the signal from the accelerator pedal with multiple inbuilt settings to ensure you find a setting that suits your driving style, although there are other products on the market that can offer this performance. 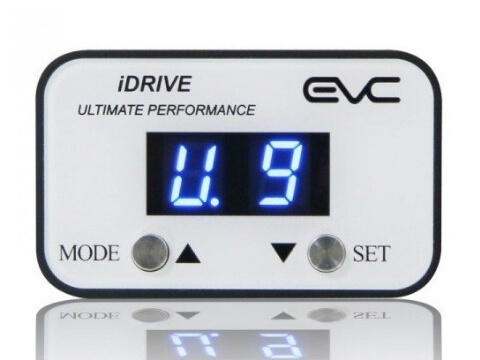 iDRIVE includes an automatic control function that changes the level of throttle performance based on pedal pressure. So if you are in traffic and accelerating gently the iDRIVE will select setting 1. If you are accelerating hard to overtake, towing a heavy trailer, or just having fun the iDRIVE will select 9. The result is the smoothest aftermarket control module on the market. We are so confident you will love your iDRIVE if you don’t we will give you your money back. Give your 4x4 the performance you deserve. Visit us at 190 Herries St, Toowoomba and let us help you get the best from your 4WD. To find out more about exhausts for your 4WD, head over to our Exhausts page.